BCT™ is a set of enabling tools and forms a key component of the Business Case Framework™. 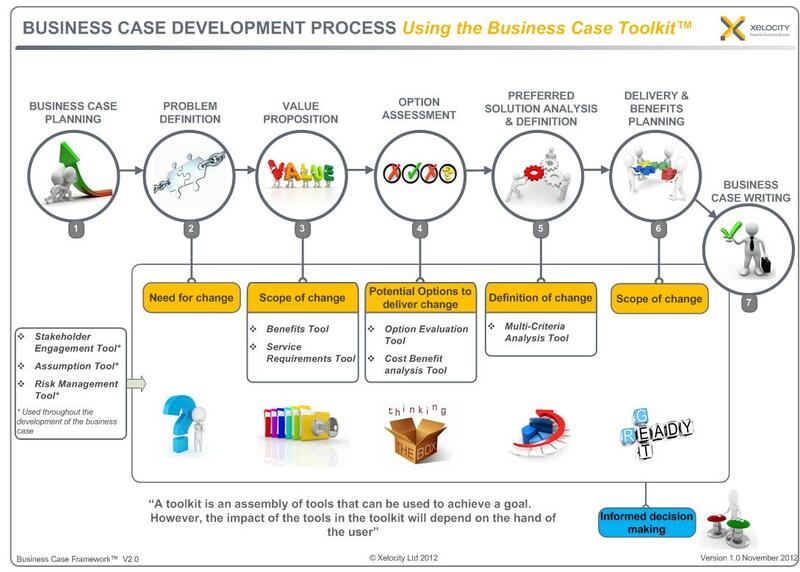 The tools support key parts of the business case development process and provides a vehicle to guide users through and expedite the process. The BCT™ facilitates an end-to-end focus and assists with the smooth transition from the business case stage to subsequent programme or project delivery. The diagram below outlines how the tools it into the Business Case Framework™. The Business Case Toolkit overview document provides an overview of each of the tools available.